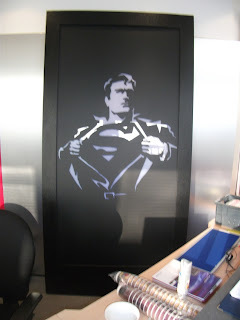 A themed party is a simple but surefire way to create a big buzz about your corporate event. A carefully chosen theme will spark interest and get guests excited from the word go. 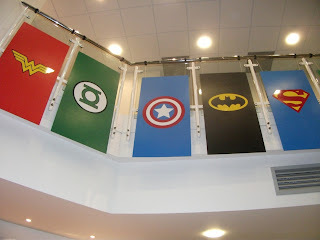 With blockbusters like Iron Man 3 , Man of Steel , and Thor 2 hitting the screens this summer, the superheroes theme is a no-brainer. 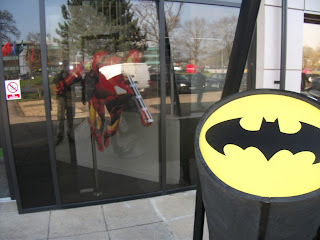 As a theme for a party or corporate event, Superheroes is always a winner. Who hasn't secretly fantasised about being Catwoman or Batman for a night? Well, now's your chance to live the dream. We proudly present the Superheroes themed party, an event that goes above and beyond the call of duty! It's a great leveller. How often do get the chance to see the head of marketing as the Man of Steel, or Susan from accounts as Supergirl? Whether you're getting an early start on the office Christmas party (hey, it'll be here before you know it!) or organising the evening entertainment for a conference, this theme will do the business. There's nothing worse than a half-baked bash. Unless they look the part, themed events fall flat. Set the scene with backdrops and strategically placed, high quality props. 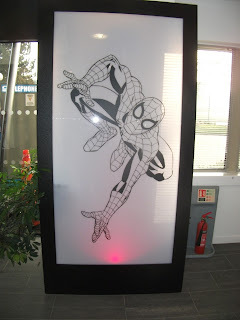 Check out these pictures from a Superheroes themed party we organised recently. Contact us on 01773 766050 for more info or click here for more ideas for themed parties and corporate events.